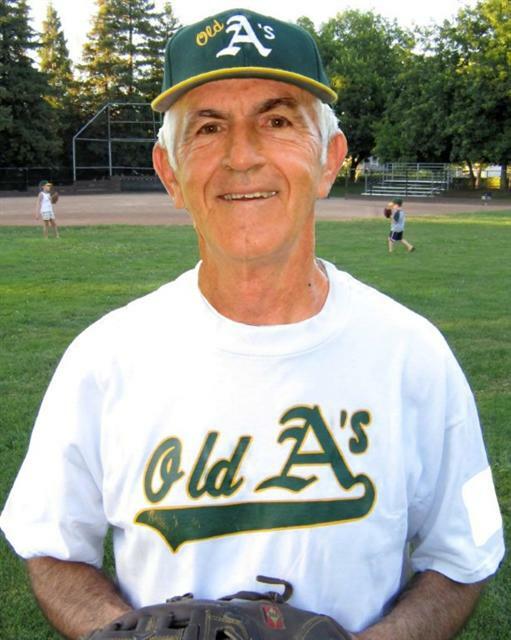 Sal Candelora "Sal has been coaching and sponsoring Senior Softball teams since 2004. The successes of his teams and their dominance in their respective categories is clearly noted in every Senior Softball organization." "Winning Nationals and Worlds is not the only story of Sal's successes. An innovator on and off the field, he has defined his legacy as a great coach and motivator of players. Everyone who has ever played for or against Sal's teams has developed great respect for him. His teams have traveled coast to coast, never backing down from any competition on the highest level. The players who have been fortunate to play for Sal will tell you of his generosity and compassion. He truly cares about his players and the Senior Softball Game. Sal's teams never finished lower than fourth in any National Tournament." Wes Weddle Charlie Hiller wrote, "Wes officially founded the Kansas City Metropolitan Senior Softball league in 1990, and we celebrated our 20th Anniverary in 2010. Through Wes' guidance we have grown from three teams into one of the best Metro Senior Softball organizations in the country. At present we have approximately 700 members, which includes 110 women. We play in five different venues in our metro area, six nights a week..... Wes continues to stay very active in organizing and promoting our Saturday morning Draft Leagues, working our local and regional tournaments from dusk till dawn, along with many other activities such as composing our annual mailing notice of our league meetings." 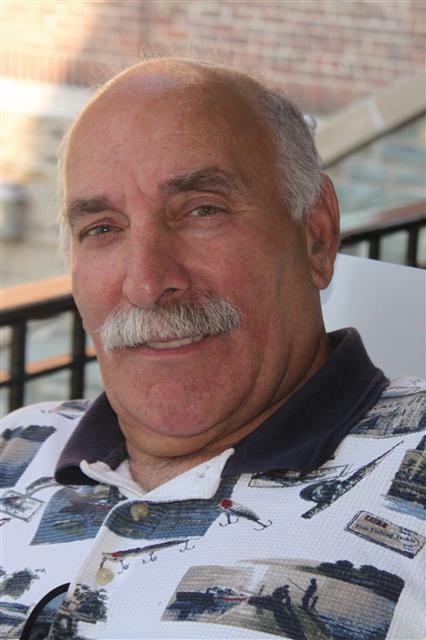 "Wes is a soft spoken gentleman who is always willing to help anyone with a problem 24/7. He is often called upon and always delivers. In addition to all of the time he dedicates to us, he is very active in church activities." Sal Cisneros Al Kumm writes, "Sal plays much 'larger and younger' than characterized by his size and age. His hitting requires a double-take to notice that Sal just pounded the ball!" "Sal comes to play ball; quiet but results shout, serious but still enjoys the game, and always ready to help anyway he can. He is a class guy and a good friend." Duf Sfreddo wrote, "Through the past 20 years, Sal has been seen at the majority of Natl Tournaments with various teams that were in younger divisions of his age group. He is fast, hits with power, and has justified that he can play at all levels." Dave Townley write, "Sal has tremendous enthusiam for the game. He has a winning attitude and most of all, he has fun on and off the field." Pete Conley "Having played with and against Pete for more than 20 years, I am fully aware of his prowess in all field positions. He is a great teammate with his positive comments and cheering on the team. He is a true scholar of the game. 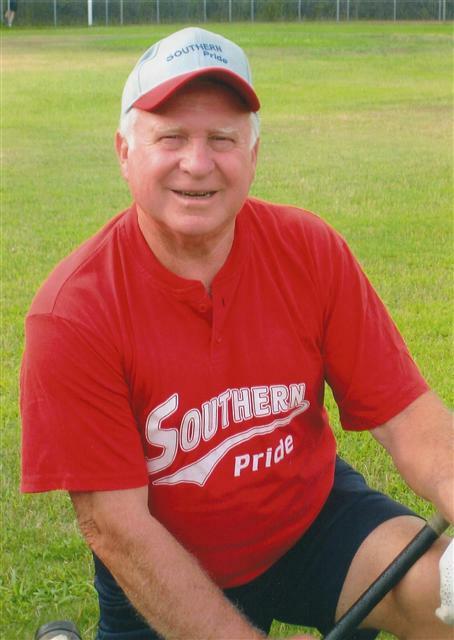 He has been instrumental in creating many of the rules that Senior Softball uses nationally." - Ron Schwartz Jerry Simon writes, "Mr. Conley has for years been one of the most outstanding senior softball players in California. He has performed at the highest level regarding not only his softball play, but his personal attitude towards the game." 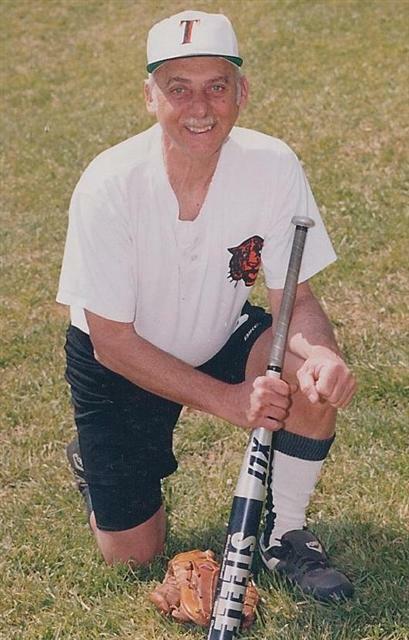 Gary Tryhorn wrote, "Having dealt with Mr. Conley on numerous items regarding Senior Softball, I have found that he is a great ambassador for the Senior Softball Game. 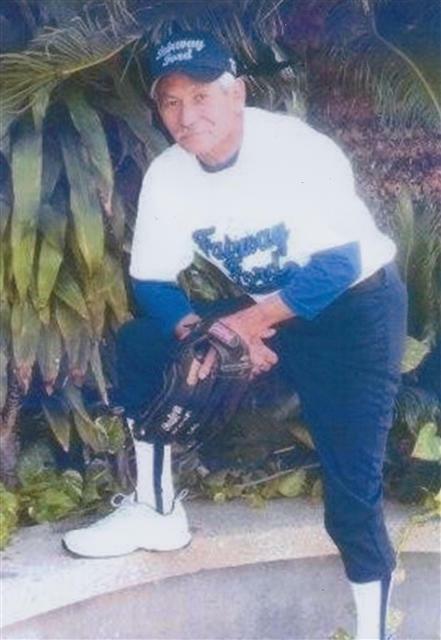 A man of great character and compassion, he has been involved in many of the decisions that have affected Senior Softball." Gayle Cowen "Gayle has been an instrumental force at the top level of Senior Softball since 1994, with some of the best teams in the sport. In addition to the 16 years of consistently excellent hitting, Gayle has been a model for senior softball players to follow. He is a gentleman on and off the field, plays with a grace and intensity that inspires those who play with him." - Terry Hennessy Don Farber wrote, "Gayle is the man you want to see come to bat with the game and championship on the line. He epitomizes what Senior Softball is all about...sportsmanship, fellowship, and the love of the game." Bob Holland wrote, "Displaying a unique batting posture along with exceptional bat speed, Gayle delivers his 'trademark' prolific power-alley drives with regularity. In my humble opinion, Gayle deserves consideration as the proverbial complete ballplayer." Donald Duell "I think the unique part is that Donnie made the all tournament team in most of the tournaments that we played, playing in different positions. He has played infield, outfield and in some tournaments has pitched," wrote Bob Johnson. Robert Fuhst writes, "He has such God given talent in hitting, fielding, throwing and running, but it is his 'nice guy attitude' which carries his talents to the fore." 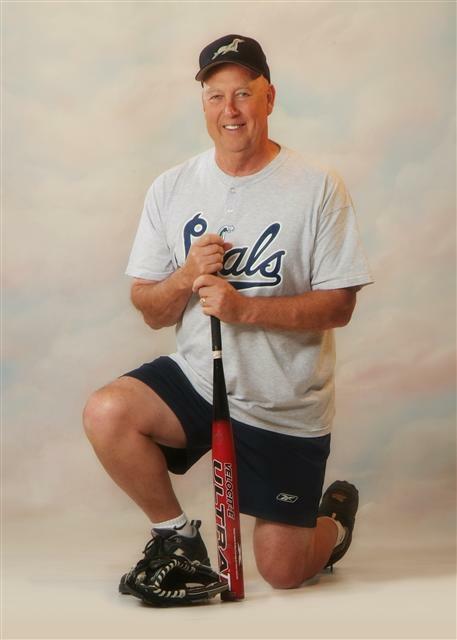 Dewey McVicker wrote, "Don is a power hitter who sprays the ball to all fields and always carries a high batting average. He is a five-star player, who is comfortable playing all positions in the infield as well as the outfield. His defensive skills are exemplary." Bob Hannah Bob Holland writes, "Bob Hannah's infield efforts are legendary; opposing hitters in their vein efforts to find the 5-6 hole, more often than not, find Bobby Hannah's glove! He is known by his fearsome reputation as a solid defensive infielder, as well as an exceptional offensive threat." Don Farber says, "In my estimation Bob at age 70 could perform at the Major Plus level in the 60 or 65 age groups, and continue to garner MVP Awards." Tommy Dean French wrote, "He can pinpoint a hit any place between the line on the field. Bobby is a very humble player and with his great talent, personality, and team chemistry, he is what every senior softball player should use as a role model." Vincent Marino Ev Arnold wrote, "Vinnie is our shortstop. He is a fine infielder with excellent range and a strong accurate throwing arm. Sure-handed is a good way to describe him. His throws seem effortless coming right from the ground. Another of his strengths is his hitting consistency. Right-handed, he hit with power often to the opposite field. He gets many extra base hits and hits for high batting average." Frank Mitchell wrote, "Vinnie's bat could always be counted on, and if you needed a big time hit when the game was on the line, you were always glad to see the guy stepping into the box was Vinnie Marino. As a manager, I knew the importance of comradmanship with any team, and it is my pleasure to report that this gentleman batted 1000 in that department, almost to a fault putting the team ahead of all personal glory." Joe (Doc) Smith John Davide wrote, "Doc is both a great competitor and a leader on and off the field of play. His enthusiasm and determination on the field is contagious. Joe's teammates will feed off the energy he projects and they usually rise to new and higher levels of play." "A soft spoken man who has a strong demeanor leads by his actions. His clutch hitting ability, and his knowledge of the game always gave him an edge over his opponents. Joe is the player you wanted at bat in the crucial moments." Chuck Schilling writes, "Joe has been a very energetic competitor since he was born. 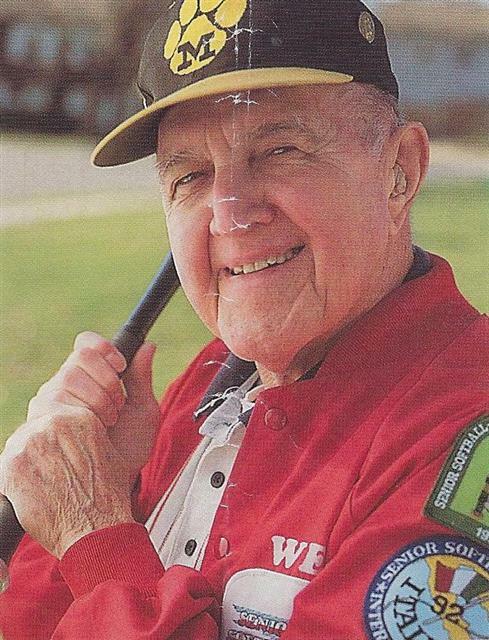 Wherever softball was being played, Joe wanted to be there, either as a player, a manager, a league coordinator, or a combination of all three at the same time. His boundless energy and competitiveness was obvious on the field, since the only way he played was 'all-out', even playing through injuries." 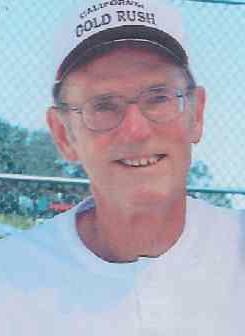 Harry Walker Al Kumm wrote, "Harry's senior softball career has been, primarily focused on pitching; however, he is very capable and comfortable playing in the outfield and infield as well. Besides being a very skilled pitcher, he is competitive, a model team player, and perhaps more importantly, just a great person with character, modesty, caring, and family values." "He is a complete player; defends his position well, and his hitting is much respected. He hits the ball where it is pitched to all fields consistently, and more often than not with power. Overall, his accomplishments have made him one of the best pitchers in senior softball." Roland Bleitz "Roland has great stamina and speed, and is one of our most frequent runners. He will lead the team in extra base hits, be on base more than 70% of the time, and be among the top RBI guys as well", wrote Bob Woodruff. Billy Steele writes, "Roland is the ultimate team player, he does what ever is asked of him and never says a word he does everything for the good of the team. He is always pulling for his teammates to do well, and this attitude has led to many National Titles." Tom Dommel wrote, "His strong offense is what first makes him stand out among his peers, but at closer inspection, you realize that his defense is as steady and consistent as his offense. I feel that Roland is one of the most consistent senior outfielders in the country." Bob Cummings Larry Lopez writes, "Bob is a superlative defender, and is widely recognized for a 'cannon' arm. 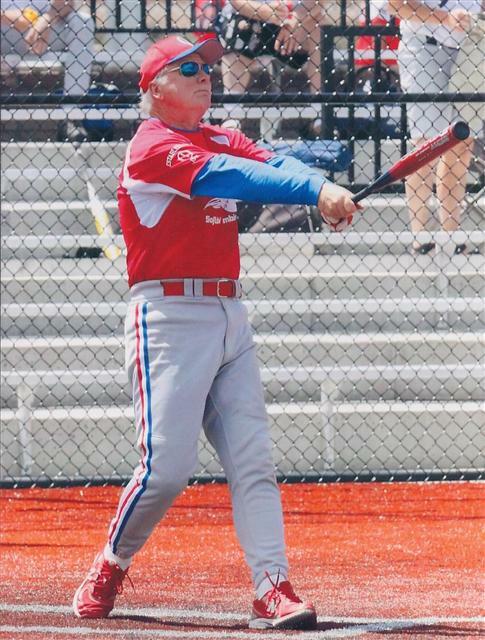 In my opinion, Bob is the finest shortstop I have seen through the various age groups in Senior Softball." 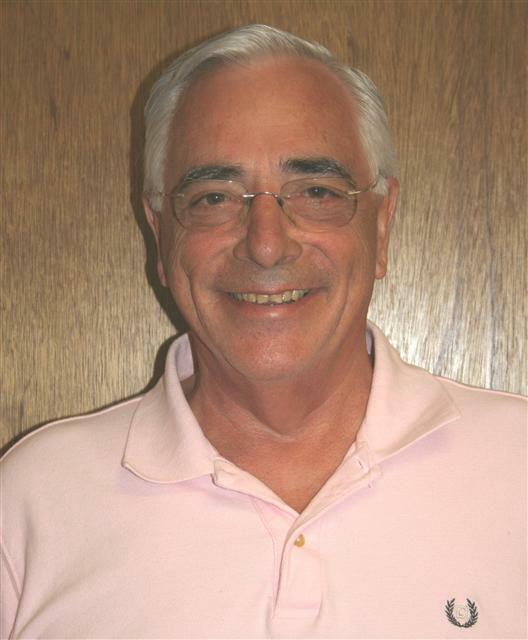 Otis Menasco wrote, "Bob is well known all over the country for his skills at the major plus level. He hits to all fields with occassional power and is best in the clutch when the game is on the line. Bob is a totally positive person, friend, and supporter of his teammates. He can turn a quiet dugout, when the game is down, into an alive group of players with new life by his leadership." Al Linde writes, "What a ball player! One of the best shortstops I have had the pleasure to play with. Bob is a winner!" Ron Danoski "Ron is one of the most feared hitters in the game. This is certainly true with his power, but it's even more so if he happens to keep the ball in the park as few people hit the ball as hard as he does." - Bob Woodroof. Dave Barnes writes, "Ron is a motivator and makes you want to be the best you can be. It means a lot to Ron to compete with the best and earn their respect." Bob Schulz wrote, "He gave up his body by diving at every opportunity to make a play. For a big man that is never easy, but he always put his team before his personal well being. This, of course, is the best sign of a good teammate." Alan Dial writes, "Ron is a tremendous teammate with little to no ego. He develops friendships with ALL his teammates. He pulls for the guy who is slumping just as much as the guy who is hot. He brings enthusiasm that is not contrived and it becomes contagious to his teammates. Bruce Fairchild "Bruce was one of our top players during this time and usually batted second on a team of excellent players. Bruce is also one fo the finest defensive first basemen I have ever seen," writes Audie Hollis. Pete Fowler wrote, "He is the ultimate hitter, combining power and average and handles his glove with the best at his position. He extends his talents to help leagues, teams, and players whether they be competive, recreational, or even co-ed. He is truely an asset to the game of softball." 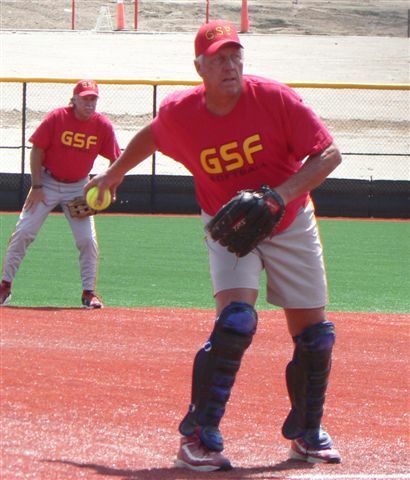 Mike Gainer wrote, "In my opinion, Bruce is what the game of senior softball is all about. He is not only an excellent player, but a great person and gentleman. Bruce leads by example and his play shows it." Ellwin Jobe Pat McGuire writes, "Ellwin's versatility is certainly an asset to those theams he has played for. He is consistently a high average hitter with excellent power. He is one of the finest fielding infielders I have had the pleasure of playing with in Senior Softball. 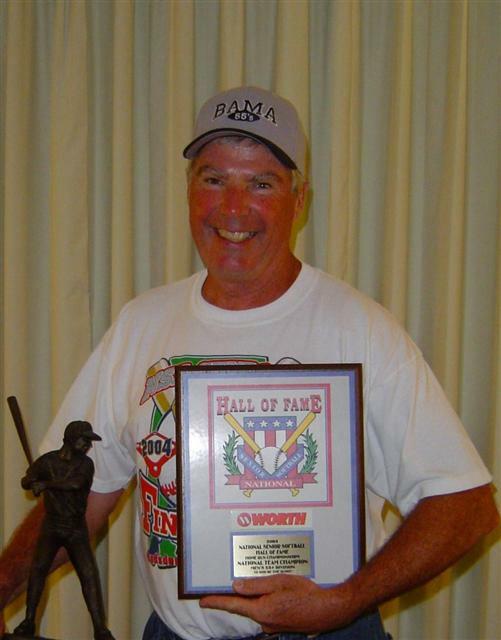 He is not only a gifted player that has won many awards, but is a fine human being which is exemplified with his unstinting giving of time, knowledge, and experience to the sport of softball." Bob Koss Pat Bidelman wrote, "No one's nickname could pose a greater disparity with reality than that of Bob "Snake" Koss..... the real Snake is kind caring and friendly. 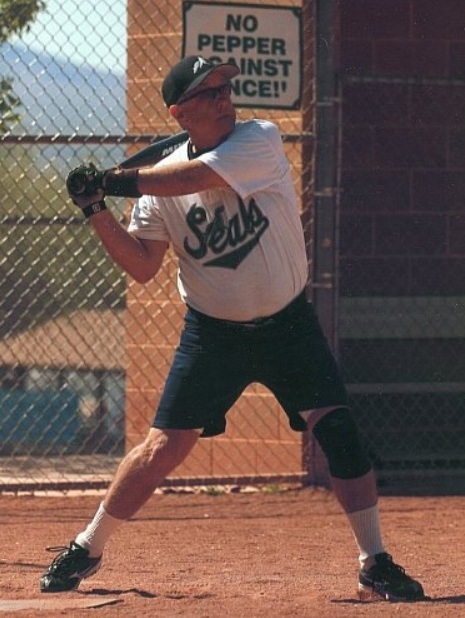 Furthermore, Snake is also one of the very best senior softball outfielders ever to play the senior softball game. As a truly exceptional outfielder, he not only covers a lot of ground and makes all of the routine plays, he also regularly nabs balls while diving or racing back to the fence. And, once he has caught the ball, he makes excellent throws. Snake is a pleasure to be around, both on and off the field." Rainer Martens writes, "Snake is an excellent 'punch' hitter. His All-Tournament selections have been mostly earned by his hitting, not his defense, which is the practice of most major plus teams. 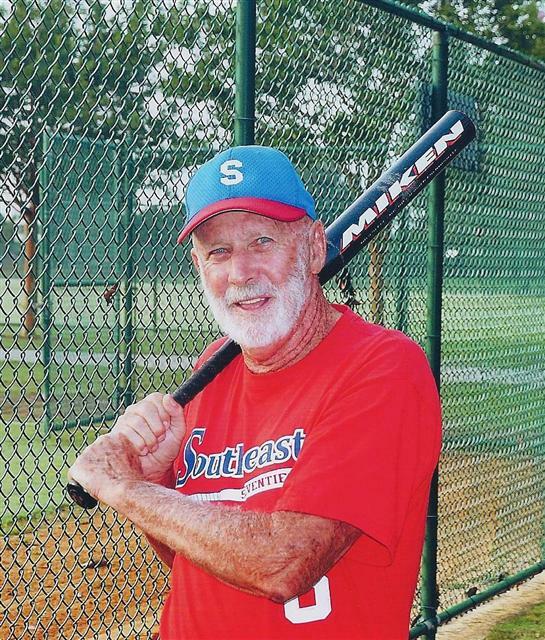 He is an outstanding defensive outfielder, arguably the best in the US in 65+ softball today. He 'reads' hits well so that he can get a quick start after the ball, and if he can reach it, he almost always will catch the ball." 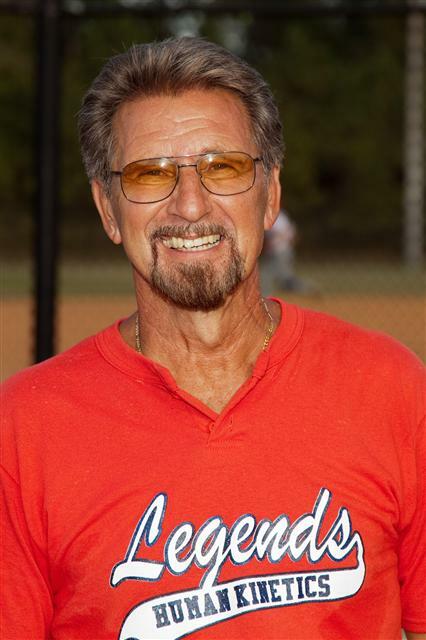 Gary Richter "Gary has been a premier softball player for most of his career. Since joining Senior softball, he has continued his excellence on the playing field while playing for three Major Plus teams, the NY Statesmen, Thermco, and CT Sportsplex. During his tenure, these teams have won over ten national championships." "It is no surprise that Gary's play has been a big part of his team's successes. Clutch hitting, a perennial high average, and the knack to ignite the big inning are just some of the aspects that Gary brings to a team. His defensive skills include terrific hands and anticipation to be in the right place to make the play. However, all of Gary's teammates will tell you that his carefree attitude, which helps keep everyone loose, is as big an attribute to his team as his bat and his glove. He is always using humor to relax a tense situation. It is that and more that has enabled Gary to rise above and do what others cannot accomplish." 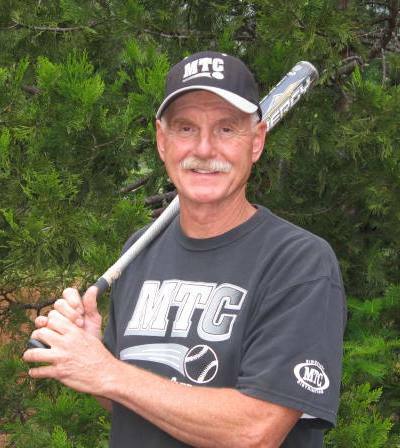 Steve Snow As a senior, Steve has played on three very talented senior teams, who won 14 Senior National titles, and finished second five times during the six years he played in the 50+ and 55+ divisions. Steve was named to 9 different All-American or All-World teams during this time frame. Steve is a lifetime .700 hitter with great speed. "When Steve turned 50, Winkey Blackman was putting together his 50+, Faith Electric team, and Steve became a part of that club. 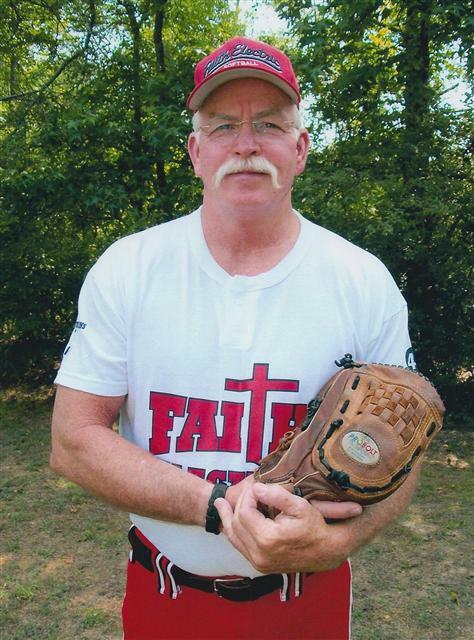 After his two years with Faith Electric, Steve joined the Florida Crush team full time. In 2004 the 'boardering states' rule brought an end to the Florida Crush team, and Steve rejoined Winkey, with the Country Wide Home Loans team. Helen Boyd Jan Ellis wrote, "...the most consistent pitcher in senior softball. Helen is the pitcher her teammates want out there in the most important games. This respect reaches beyond her team, her competitors recognize her skills too." "As her coach, I appreciate Helen's ability to recognize and remember opponents offensive strengths and weaknesses. Helen is a respected voice for the defense. I can depend upon her wisdom, knowledge, and judgment." Phyllis Ryser writes, "It takes confidence to be a great ball player. When she is on the mound, my Mom believes in her herself, and believes she can get the best of every batter. She has the ability to lead the team, and they believe she will come through for them because of the confidence she possesses." 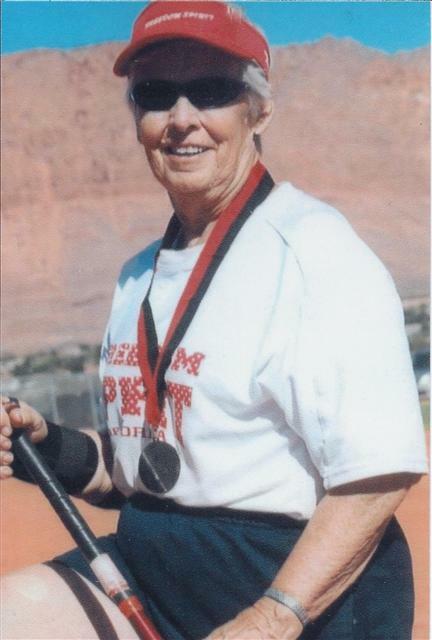 Shirley Grizzle Kim Kendrick wrote, "As a teammate, I have not been around many people who love the game of softball as much as Shirley does. She is always concerned about the well-being of her teammates and wants what is best for everyone." "As a coach, I was blessed because there is not anyone who has as much competitive fire as Shirley does." 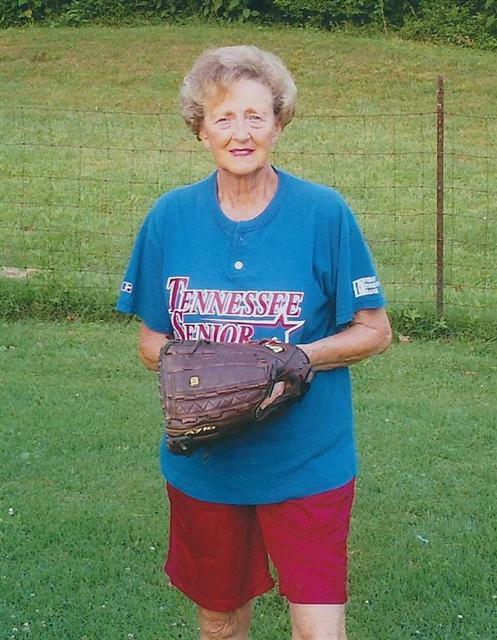 Marie Pryor writes, "Shirley is a great pitcher. When she is on the mound, she is in control of the game. Shirley is a winner on and off the field. She has won numerous team titles as well as many individual awards. She is both a loving mother and a devoted friend." Shirley Smith Ethel Lehmann wrote, "There may never have been the first Florida senior women softball team, if Shirley had not said 'Yes', I will help in 1994." 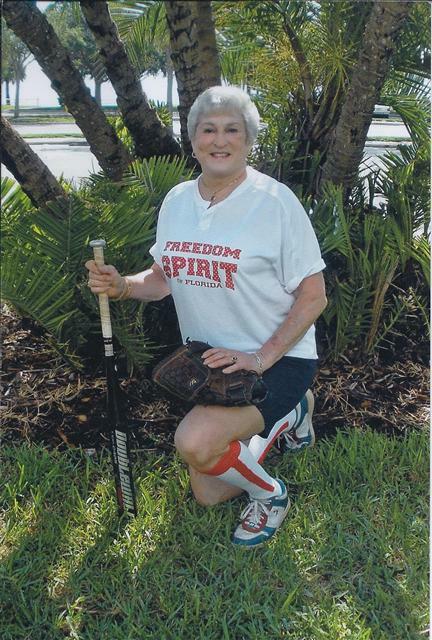 "As a Florida Spirit and Freedom Spirit player, Shirley hit more home runs than any other teammate. She hit 'screaming' ground balls through the infield. She has made numerous running 'shoe-string' catches in center field. Any ball hit to center field was a sure out with Shirley there." 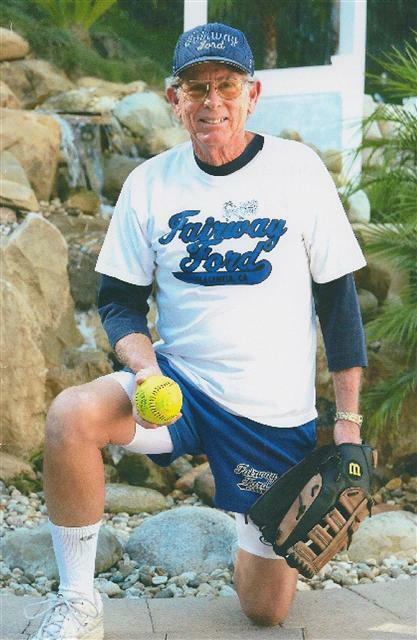 Ron Mastrolia writes, "Shirley is a highly accomplished softball player and the ultimate example of good sportsmanship. Her playing ability is of the highest caliber, her knowledge of the rules is unquestionable, and her attitude and skills are well beyond the ordinary."